The top row of images are screenshots from the start of the movie documentary, Woodstock. below, a set of Apple Ipod advertisements. A Papal crucifix (0n right) that I purchased at Vatican City last year in August. 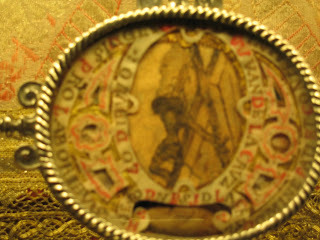 I found it in a tiny shop beside the entrance to the Reliquary museum in St Peters cathedral. 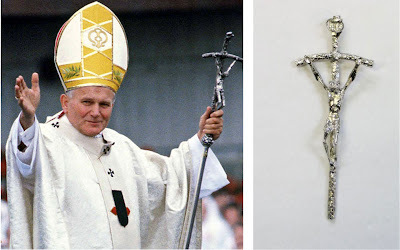 The crucifix,which was popularised by Pope John Paul II on his pastoral crozier, has a similar feel to the mystical drawing by San Juan de la Cruz - the small drawing in Avila prompted Salvador Dali to paint his homage which was hung in St. Mungos Chapel in Glasgow, last time I visited in 2003.